The MULTIPLEX 6200-II and 6200-II Y are equipped with the advanced MAZATROL matrix 2 CNC to deliver higher accuracy and higher productivity. 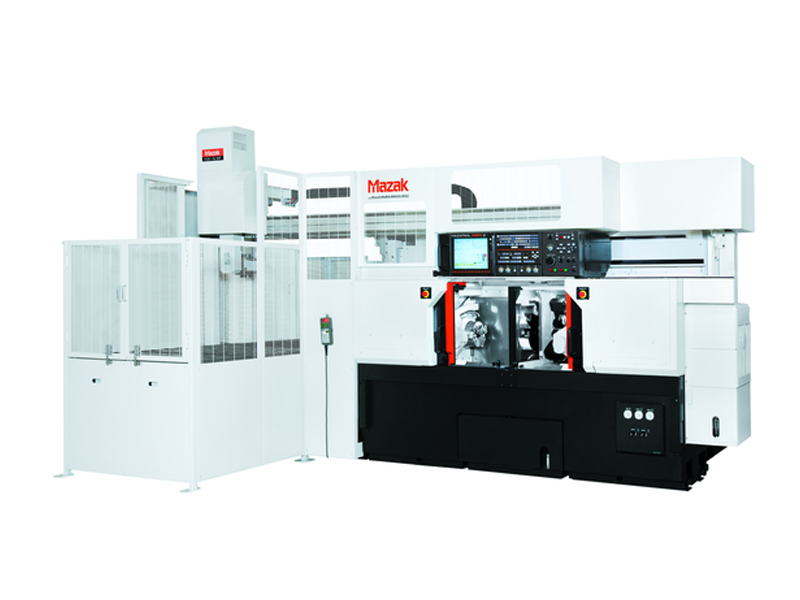 The MULTIPLEX series combines two NC turning centers with milling capacity and performs a variety of machining such as continuous/simultaneous machining by both spindles thanks to automatic workpiece transfer from one spindle to the other. Additionally, setups can be performed as well as workpiece loading/unloading on one spindle while machining is being performed on the other.